There are positive and negative sides to narcissism in the workplace. The positive aspects of narcissism include self-confidence and tenacity, but the negative aspects of narcissism are lack of self-reflection, attention-seeking, and not being open to feedback. 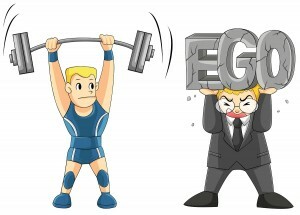 As much as many of us may like or dislike narcissistic traits, there is no doubt that these traits have both functions and drawbacks in business environments. One study by the IMD looked at how 78 CEOs at 33 major pharmaceutical companies reacted to the rise of biotechnology from 1980 to 2008. The study found that the more narcissistic the CEO was, the more heavily and the earlier the company invested in new technology. The study also saw that the risk-taking nature of these CEOs delivered more extreme outcomes, with some experiencing great success and others experiencing catastrophic failure. So, when I say avoid being taken in by narcissism, I don’t mean that narcissists should not be hired, as their traits may be beneficial. The problem is that one study has shown that recruiters can be taken in by narcissistic, self promotional candidates, and such candidates tend to get higher evaluations — not necessarily based on their competencies, but based on the sheer volume of talk they produce. Narcissists artificially inflate their value through their communicative style, and not necessarily their enhanced competencies. Being self-promotional is not a crime in itself, but a narcissistic level of self-promotion might cause people to promote themselves at the expense of others, particularly inferiors and strangers. This can be a sign of unhealthy narcissism. A good way to spot this type of narcissism is to make sure to view the candidate in a variety of settings. See how they work with junior and senior members of staff, especially in public settings, where narcissistic tendencies may be amplified. Narcissists dial up their performance in high-pressure situations, making more bullish and outlandish claims, so watch closely when you are asking tough or probing questions. In these situations, it can be easy to overlook non-narcissists who may provide strong answers in a stuttering and less confident manner. You may be won over by self-promotional narcissists who give substantially weaker answers, but present them in more bullish ways. Don’t let style win over substance. There are a few questions that narcissists may struggle with. These questions concern accepting criticism and acknowledging weaknesses and opportunities for personal development. Try probing your candidates to find out their perceived weaknesses, or ask them for examples of how they have handled criticism effectively. Narcissists in particular may struggle to come up with coherent, convincing responses to these questions. Narcissists can distort the truth through their own self-promotion. So, it is not recommended that you rely solely on the charm and self-promotional zeal of candidates. If a candidate uses superlatives like “excellent,” “fantastic,” “great,” etc., don’t be fooled. Ask for figures, examples, and statistics that back up these claims, and corroborate them as far as possible. This will expose excessive self-promotion. Talk to people who know the candidate, including subordinates, managers, colleagues, and clients. Look to disprove their claims rather than confirm your positive impressions. This will help you to get behind the self-promotional screen that a narcissist may present to you.